Devoid Of Culture And Indifferent To The Arts: Recipe: Homemade Booze of the Day is Grand Orange Liqueur! Recipe: Homemade Booze of the Day is Grand Orange Liqueur! Seville oranges have a high amount of essential oils. This recipe is sort of a Grand Marnier or Cointreau, but without the major alcohol after burn. The alcohol content is about half, but the orange flavour is definitely there. It takes 5 days to make from start to finish, but it’s well worth the wait. Independent taste tests have sided on this being better. Let’s call it a draw. They’re different from each other. 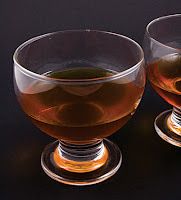 Grand Marnier® was created in 1800 in France. It is a blend of cognacs and bitter orange. It is also 40% alcohol. Besides being in a B52 shooter, it is also famous for its inclusion in Crêpes Suzette, where it is flamed before being brought to the table. The secret to this nearly clear liqueur is in using the rind. If you want to be closer to the original use Seville oranges (bitter orange). 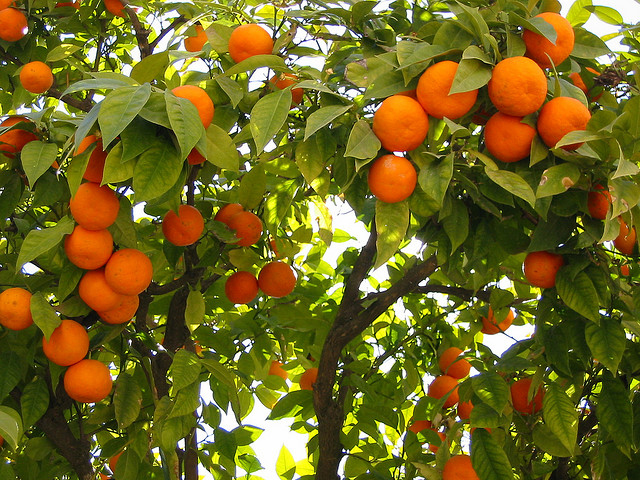 Otherwise, take care in choosing your oranges to ensure they have lots of essential oils. You can tell if the orange has lots of “orangey flavour” by pushing a fingernail into the rind and smelling. Strong is good. Weak won’t work as well. Remember you can take the rind from the oranges you use to make the Sherbet recipe I posted a few days ago. So this recipe makes the world whole again. Grate the orange rind into a saucepan, ensuing you have as little of the white pith as possible. Add sugar and water and bring to a boil. Allow to boil for 1 minute. Remove from the heat and let cool to luke warm. Place sugar syrup and rind into a ceramic or other non-reactive bowl. Pour the vodka over and stir. Cover and refrigerate for 5 days. After 5 days, strain out the rind with a very fine sieve. I have found a helpmate in a “permanent” metal coffeemaker filter. A little clumsy, but very fine mesh. More on that useful tool later. Add the infused liquid to the brandy. Mix to combine and bottle. This results in a very orangey tasting and orange coloured nearly clear liqueur. If you strain it a few times it will probably get even a bit clearer. I have noticed some essential oil on the top after about 1 week, but it disappears with a gentle shake. This is highly drinkable, and probably comes in at above 20% alcohol. So beware. I have now given you all the recipes to really get yourself in trouble. 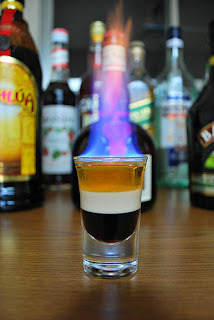 So why not try completely homemade B-52 shooters? Equal parts coffee liqueur, Irish Cream liqueur and orange liqueur layered in a shot glass. Tip: use the back of a spoon to pour the liqueurs in layers. Don't blame me for what may happen.